It’s hot here in Harare, and not because of the weather. The housing co-op movement is heating up and there is plenty of action. Harare East District Union represents 11 housing co-ops in Chitungwiza, a small town about 30 km south ofHarare. The union secured land from the local authority in late 2010, and has had layout plans approved for over 1,400 households. The union is working on plans to build more homes on a new plot. 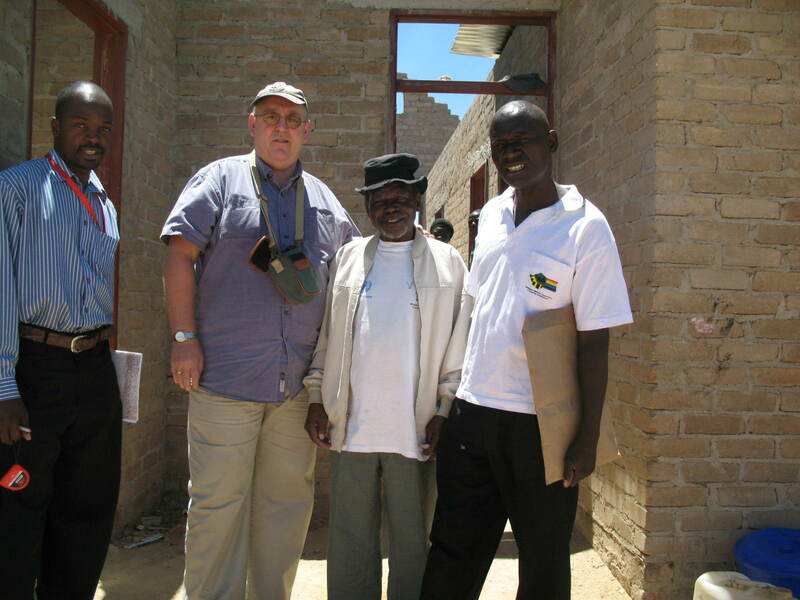 The district union is led by the dynamic Ben Moyo, who is also vice president of the Zimbabwe National Association of Housing Cooperatives (ZINAHCO), Rooftops Canada’s partner in Zimbabwe. Moyo came toCanadain 2004 on a Rooftops Canada study visit. He took part in the CHF Canada AGM and other co-op housing events. The district union has an onsite office run by a small staff. When I visit, the staff are busy grading roads, staking plots and showing members their sites. A four-person team of co-op youth is producing over 1,000 bricks a day for sale. Another team of four is making cement blocks. Melody, a talented youth, confidently manages the enterprise. Further along in the estate is the Musha Wedu Co-op, a 200-member-strong community of disabled former tenants. The co-op has made 60,000 bricks, enough for 10 three-room houses. The trenches for the houses’ foundations are being dug as I write. Musha Wedu Co-op launched this enterprise with a US$5,000 loan from the ZINAHCO revolving fund, which they are on track to repay within eight months. The ZINAHCO revolving fund has also issued two loans to the 104-member Kumboyedza Housing Co-op just south ofHararein Ruwa. With loans totaling US$10,000, 16 new houses for 32 families are rising quickly from slabs and three others have had their brickwork completed. After ten difficult years in Zimbabwe, the housing co-op movement is demonstrating the membership’s resilience, strength and commitment. The ZINAHCO revolving fund has grown from four small loans averaging US$3,000 to $4,000 in December 2010 to nine loans worth a total of $36,600. The members are working hard and I can see that the funds are changing people’s lives. It’s inspiring!